Catherine M.C. Farrelly, formerly Catherine M. Clayton, is a partner and co-Chair of the Trademark & Brand Management Group and is also a member of the firm’s Litigation Group. Ms. Farrelly is an internationally recognized leader in the field of trademark law who advises some of the world’s leading brands on intellectual property matters. She helps her clients plan strategies, manage trademark portfolios, and protect trademarks and other IP in the US and world markets. She represents well-known companies in a variety of industries, including entertainment, finance, sports, cosmetics, toys, beverages, publishing and real estate. Ms. Farrelly is an Advisory Board Member for the University of Pennsylvania Law School, Detkin Intellectual Property and Technology Legal Clinic, the Vice Chair of the Trademark Litigation Committee of the American Bar Association Section of Intellectual Property Law (2018-2019), Chair of the ABA’s USPTO Operations Relating to Trademarks Subcommittee, and a member of the International Trademark Association (“INTA”), the Copyright Society, the New York Intellectual Property Law Association, and the New York State Bar Association. She writes and speaks frequently on hot topics in intellectual property law, and has been published in the New York Law Journal, among other publications. Ms. Farrelly is admitted to practice in New York, the United States District Court for the Southern District of New York, the United States District Court for the Eastern District of New York, and the United States Supreme Court. Catherine Farrelly is a panelist and Danielle Maggiacomo moderates the panel on IP and New Media at the New York State Bar Association's Annual Meeting. More information here. Catherine M.C. Farrelly speaks before the Non-Traditional Trademarks Committee about the PLAY-DOH scent mark registration at the International Trademark Association’s Leadership Meeting in New Orleans. Catherine Farrelly speaks on “Building a Game as a Brand” at the Game Technology Law Conference in Seattle, WA on October 13, 2016. Catherine Farrelly, Kristina Lewis and Faith Robinson host an INTA Roundtable on "Tips and Tools to Manage Trademark Projects" here in our boardroom. Catherine Farrelly moderates the panel, "Intellectual Property Update" at the 2016 Video Game Bar Association Summit in Los Angeles. Catherine Farrelly speaks at a New York City Bar program entitled "Sweepstakes Promotions & Marketing Laws in a Digital/Mobile Environment" on Trademark Rights and Ambush Marketing. Trademark solicitation scams are on the rise. If you receive correspondence about your trademarks from someone other than your trademark attorneys — correspondence that looks like an invoice or an offer for trademark services — it may not be legitimate. Here's a summary of what the scams look like and what you should do about them. Read more. On June 19, 2017, the Supreme Court unanimously ruled in Matal v. Tam that Section 2(a) of the Lanham Act, which prohibits the federal registration of disparaging trademarks, is unconstitutional because it violates "a bedrock First Amendment principle: Speech may not be banned on the ground that it expresses ideas that offend." Read more. 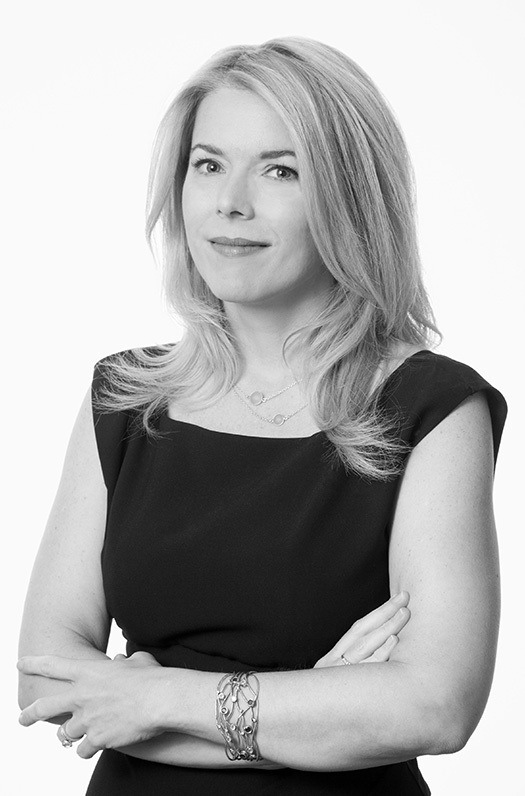 Fox News, Teen Vogue, The World IP Review, The Independent, Refinery29, Fatherly, and Beauty Packaging quoted Catherine Farrelly on Hasbro’s recent trademark “scent” application for Play-Doh. The Trademark Trial and Appeal Board (the "Board") has announced a number of changes to the Trademark Rules of Practice, to take effect on January 14, 2017. Read more. ​The 2016 BTI Client Service All Star Team's 30 Top IP Lawyers includes Trademark Group chair, Catherine Farrelly. Read more. Here's some big news for anyone who owns -- or is contemplating registration of -- a trademark that may offend certain audiences. The Federal Circuit Court of Appeals ruled on December 22nd that a law banning the registration of disparaging trademarks is unconstitutional. Read more. Here is some big news for trademark owners: Earlier this month, the United States Patent and Trademark Office ("USPTO") began a pilot program to allow owners of registered trademarks to update their registrations to reflect changes to their products made as a result of technological advances. Read more. Catherine Farrelly was quoted by Law360 in reaction to the U.S. Supreme Court ruling stating that federal court decisions on “likelihood of confusion” can be precluded by earlier findings on the same issue from the Trademark Trial and Appeal Board. The recent Supreme Court decision in B&B Hardware, Inc. v. Hargis Industries, Inc. contains some important news for trademark owners and practitioners. Read more. On February 3, 2014 Corporate Counsel quoted Catherine M.C. Farelly on how the United States' recent ease of trade restrictions on Cuba affects U.S. trademark owners. With President Obama's December 17, 2014 announcement of the reestablishment of diplomatic relations with Cuba, a number of travel and trade restrictions with Cuba have been lifted, with more expected to follow. Read more.